I have been looking for one of these for some time. A completely new zero hours burning time brand new Karlsson Nixie clock. Complete with box and manual etc. Here some pictures from the marktplaats site i bought it from. 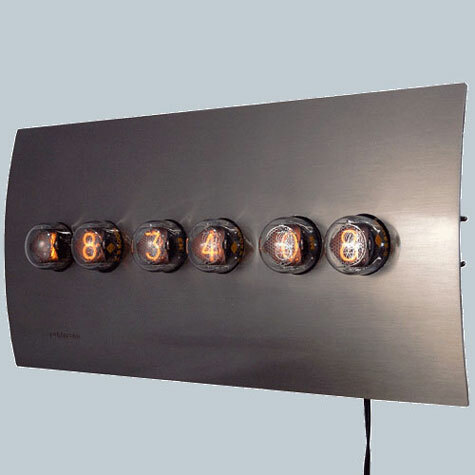 Also got this nice Puhlmann wall Nixie clock with discount for only €99,- just before it sold out. Now i will have to wait for the Karlsson by Peter van der Jagt design Nixie clock to arrive. Just wanted to share some pictures of these beauties with you, i hope you'll like. Nice. What does the timekeeping in these clocks, quartz crystals? Plus a pic of my mahoosiv nixie wrist watch with Pulsar style wrist-flick action ..
Did you know David Forbes is in the process of creating a new version? Here an autopsie of the clock. 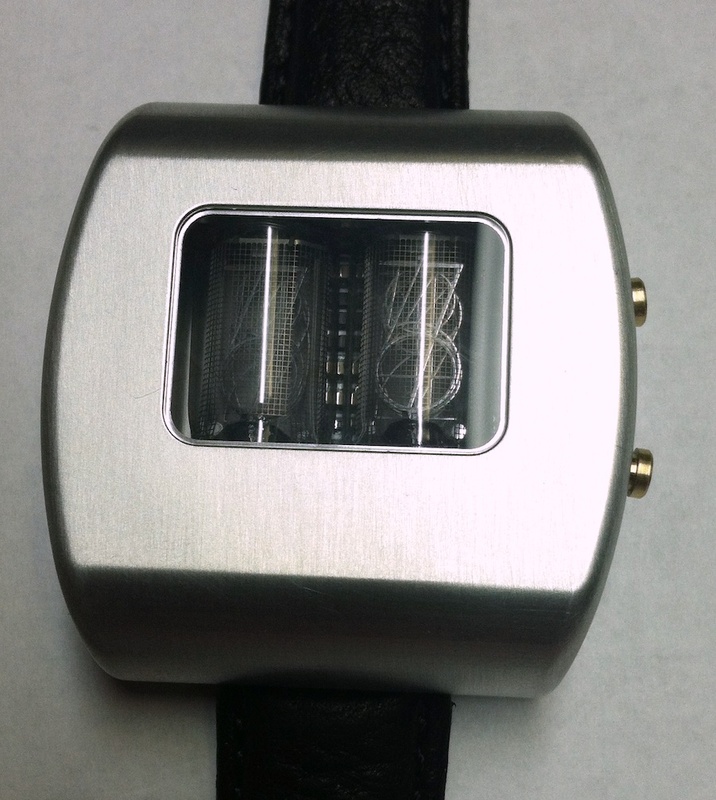 That new casing for the cathode-corner Nixie watch looks soooo much better than the old one !! Anyone know when that nixie watch be available? I agree on the strap thing, would look better on a chunky steel bracelet, or at least a much wider strap.